Last hours this situation made my brain loop in the following thoughts. 1. These videos are still better than noting. For example, there is literally nothing left of the interface for choosing your home address in a GeoCities neighborhood 1995-1999. 2. 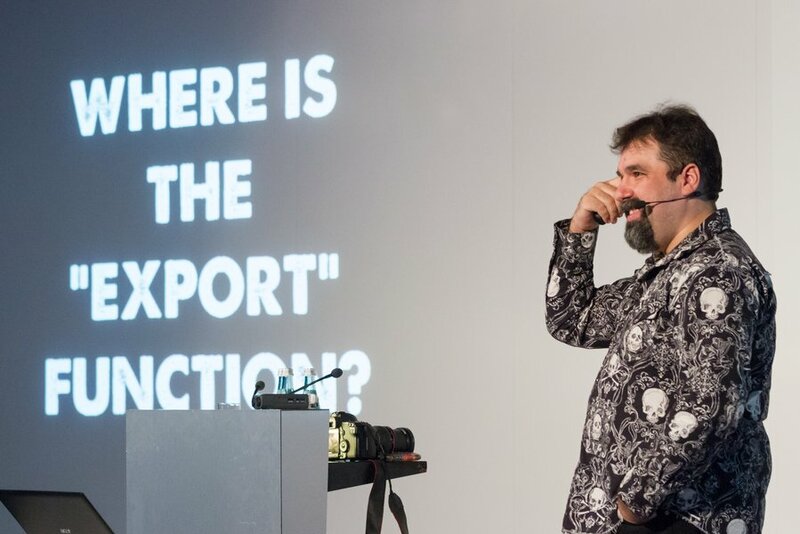 There is no Export function! The sudden clearance I had during Jason Scott’s very important talk he gave in Stuttgart back in 2012. You can get your data back, but it is not what you would want. You want more, reactions and interactions, or like me at the moment, I want the interface. 3. If only Webrecorder had existed at that time, I could have captured every drag and drop I made. 4. But I still haven’t developed a habit to go through everything I dare to see one more time with Webrecorder. And it turns many of my online articles into ruins. If I were smart, I would have to go through all the links in this article with Webrecorder, otherwise in a year, or a week, my links to the Youtube video and even to my own posts will turn into pumpkins. 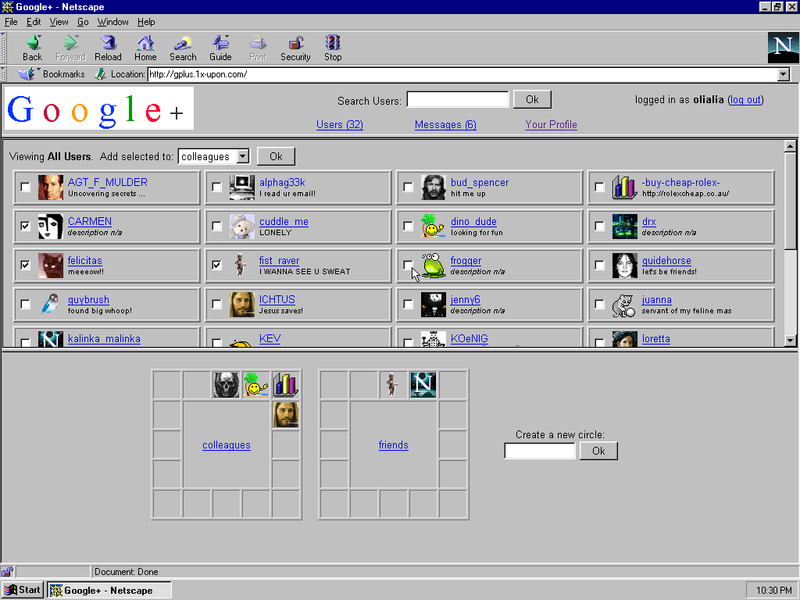 On the bright side, you can still sign in to the 1997 version of Google+. 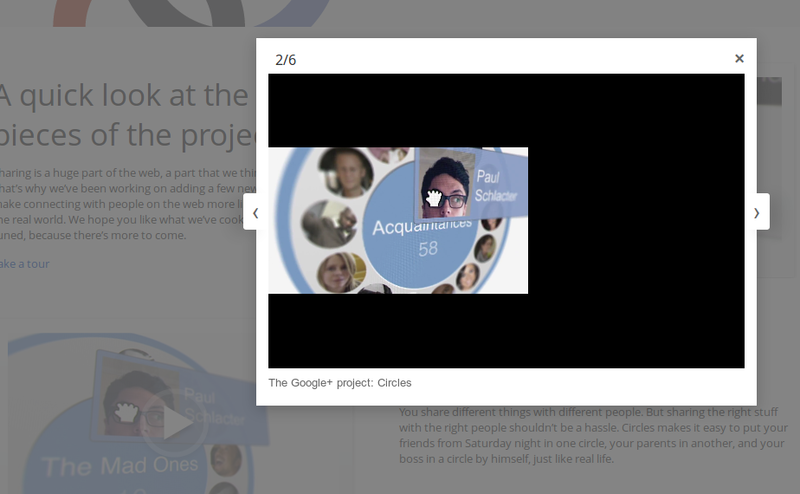 Our circles are square, and drag and drop is rather select and submit, but it is working!